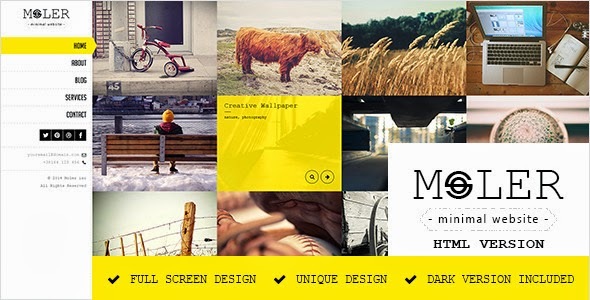 Moler is a bootstrap portfolio template. It comes in two design Light and Dark skin. Item Reviewed: Moler - Full Screen Portfolio Template 9 out of 10 based on 10 ratings. 9 user reviews.